A franchise attorney is a must-have for new franchisees. Here's how to find the franchise attorney that is right for you and your business. Many entrepreneurs misperceive franchises to be turnkey business opportunities that require less diligence than independent small business startups. While it's true that the best franchises offer proven business models to new owners, a franchise requires the same diligence and business skills as a non-franchised startup – especially when it comes to the legal complexities of becoming a licensed franchisee. Franchise attorneys specialize in franchise law. As a prospective franchise owner, it's important to retain the services of a qualified franchise lawyer if for no other reason than to protect your interests during the negotiation of the franchise agreement and the review of the mandated franchise disclosure document. We recommend finding a qualified franchise attorney early in the process. The sooner you can recruit competent legal counsel, the more quickly you can move the process along to a successful resolution. If you are a veteran entrepreneur, you probably have a pre-existing relationship with a business attorney. But unless your attorney has experience in franchise law, you'll need to set aside your personal relationship and find a lawyer who specializes in franchises. Federal and state franchise laws can be extremely complex and despite your regular attorney's best intentions, he may not be fully competent in the legal nuances of franchising. 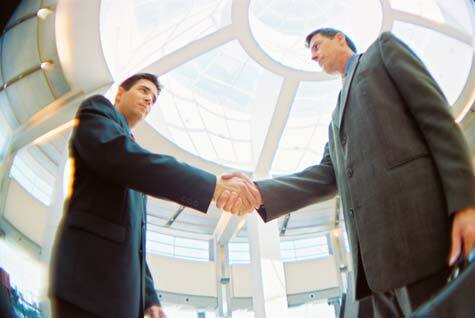 The best way to locate a franchise attorney is by referral. Contact franchise business owners in your local market to determine which attorneys specialize in franchising and to solicit recommendations. Whatever you do, don't ask for a referral from the franchisor. Remember – your franchise attorney's role is to represent your interests, not the franchisor's. It's entirely appropriate to discuss fees with prospective franchise attorneys right out of the gate. Although a franchise attorney is an investment in your company's future, the highest priced attorney is not automatically the best option. Most franchise lawyers charge a flat fee of $1,000 to $1,500 to review a franchise agreement and can be retained for additional services at a rate of $200-$300 per hour.